My question would be whether bike sharing increases bicyclists. How many customers are people who ride anyway? All fine, of course, but not going to make any major converts. I still have issues with helmetlessness. That turned me off the DC bike share. That, plus crazy DC streets, traffic circles and traffic. I think it did increase bicycling. First, it just makes sense that a large new system in support of bicycling would increase cycling — even if it reduced some private bike use, it surely creates new use as well, and puts the possibility of bicycling at everyone’s fingertips, a giant leap forward. The numbers support this: when I looked at the official data, it seems quite clear that the total trips by bicycle roughly doubled in short order when the Bicing system was introduced. This can partially be explained by other measures, but it seems certain (assuming the data is correct), that the bikeshare system contributed a lot of new trips. I fully agree we need to understand the changes of behavior better, this can be achieved through surveys and by analyzing the data collected by the system, amongst other methods. The support and attention to bicycling brought on by the system surely must have had effects, some of which might not be immediately measurable, but many of which could be. I’m optimistic that bikeshare systems are an important step toward widespread social adoption of bicycling and again, at this point it doesn’t appear there’s any argument that the investment is not worth it in a full cost-benefit analysis. This doesn’t mean it’s the only or even the best investment. Providing lots of infrastructure and no bikeshare system might bring on a more sustainable system even faster. 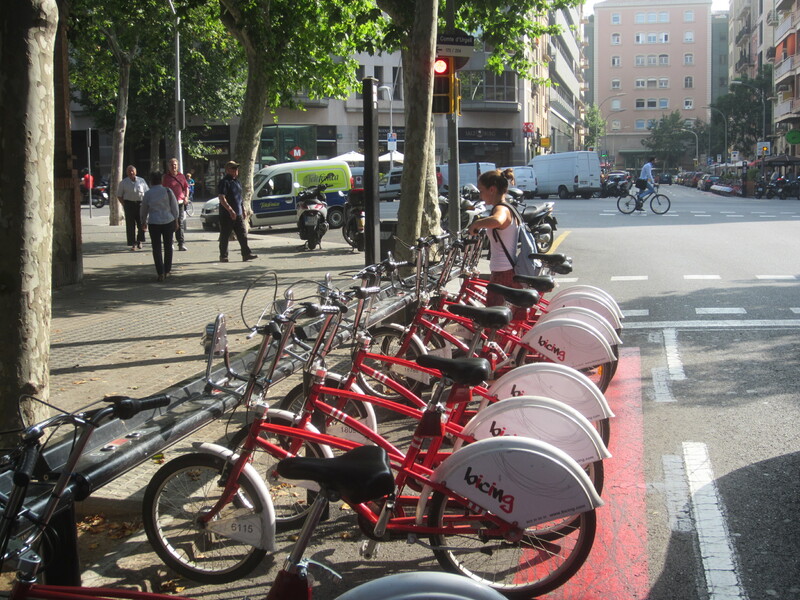 But what is the loss without the benefit of bikes on demand? Regarding cycling in D.C., having been a bicycle messenger there before any of the improvements that define cycling there today, my perception is D.C. has become a leading bicycling city in the USA, and the numbers support that. Yet there’s still much more to do. The helmet concern is a large and longstanding debate, certainly there’s a lot of justification for not requiring helmets — the benefits of the bicycling in the balance far outweigh the safety benefits, which in fact are controverted. I’d be interested to know more about why you choose not to ride a bicycle because of another person’s personal practice regarding protective equipment. Does this extend to other things as well? Driving, for example? If not, why is bicycling special that way?